SARKAR CONTROVERSY: LEGENDARY DIRECTOR'S BREAKING STATEMENT! 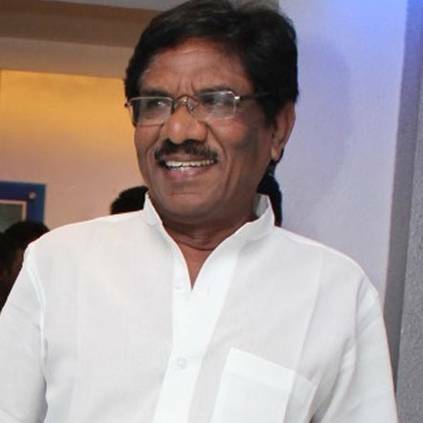 Legendary director Bharathiraja, who has given a lot of classic films, is currently awaiting the release of his next film, titled Om. The film has Bharathirajaa, Nakshatra, Joe Malloori and Mounika playing crucial roles. Talking to Behindwoods, revealed exciting details about Om and also opened up on various topics like Sarkar smoking controversy and his experiences working with Ilayaraja, Vairamuthu, Madhan Karky and Kabilan Vairamuthu. When asked about Om, he said "Om stands for Old Man. This is the life of an old man, who is a novelist. He is not that famous, but has won Sahitya Akademi Award and the film traces his life." He also registered his opinion ion the Sarkar controversy by saying "What is wrong in smoking. If smoking is really an issue, then let us ban cigarettes in this consumption of liquor is wrong, then ban liquor. Selling liquor because it is revenue for the government and then asking not to show them in cinema is wrong. We are only portraying what is in the society." The legend also shared an interesting anecdote of how they met Vairamuthu. "During the film 'Nizhalgal', Ilaiyaraja and I were sitting and reading Vairamuthu's book. We were impressed and called him to work with us. He was a lean man and after coming to meet us, he offered chocolates saying his wife had given birth to a son. Ilaiyaraja thought he was not good enough. So, Ilayaraja composed a tune and asked him to write lyrics. The result is what you see as 'Idhu Oru Ponmaalai Pozhudhu." People looking for online information on Bharathiraja, Ilaiyaraja, Om, Sarkar, Vijay will find this news story useful.